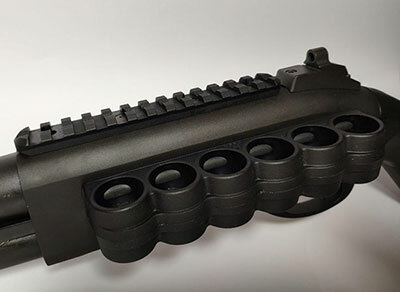 Remington 887 Nitro Mag Shotgun was introduced in 2009, it had some very interesting features such as polymer finish called ArmorLokt. Thank you for your inquiry. Unfortunately, the 887 NitroMag shotgun line has been discontinued as of 2015. We do still offer spare parts as of right now. However, because this model has been discontinued, we cannot guarantee that the parts will be around for long. We do not have any immediate plans to re-release the 887s. There is a possibility that we could bring them back in the future, but we currently do not have any plans in the works. I am very dissapointed to find out this out because I thought that 887 will become as popular as 870. Many features of the Remington 887 are very similar to Benelli Supernova shotgun. Polymer finish, rotating bolt locks, long forend. But unfortunately, it looks like that 887 hasn’t become as popular as Benelli Nova/Supernova and was discontinued. 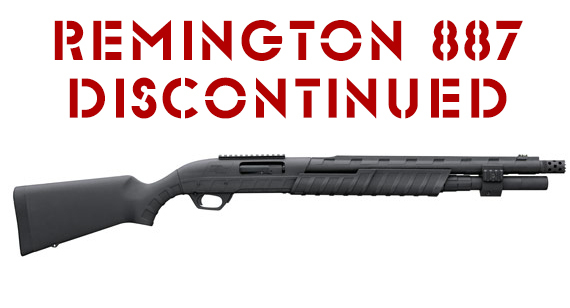 I have found a lot of complaints about the Remington 887 on the web and maybe those complaints were one of the reasons that 887 was discontinued. The Remington 887 Nitro Mag Shotgun was one of the most durable shotguns ever created. It was a 12-gauge pump action shotgun with an armored exterior not found in most other shotguns. This exterior was a polymer finish which went by the name of ArmorLokt. 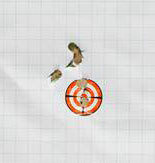 The polymer seal was made to protect the barrel and receiver of the shotgun from harsh weather conditions and other kinds of accidental damage. Not only that, it prevents the metal of the shotgun from getting rusty as well. The entire weapon was crafted out of pure solid steel material so that should give you an idea about its durability. The twin action bars were made of steel too in order to provide the weapon with smooth chambering. As for the stock and forend, they are arranged perfectly to provide comfort to the user and give them a positive grip on the weapon. Unfortunately, the Remington 887 Nitro Mag Shotgun was discontinued by Remington and is no longer being manufactured. The company does claim to still have a few spare parts available for existing owners of the shotgun, but they are very limited and will soon run out. On the upside, they did say it was possible they could bring the shotgun back in the future but there are currently no plans to do so. Many believe the reason the Remington 887 got discontinued was because it was too similar to the design of the Benelli Supernova shotgun, which was more popular. Plus, there were a lot of people posting up complaints about the Remington 887 on the internet. This likely led the company ultimately take it off the market. The only possible way you can purchase the shotgun now is from someone else who already owns the shotgun. There are companies that still sells the Remington 887. They sell them for $399 each, but they have an extremely low supply of them. Once they are all sold out, there is no telling whether or not they’ll be able to restock their inventory with them. But if you are able to purchase one then you should do so. If anything else, it would be great to own this weapon just as a collectible piece. Anytime a firearm gets discontinued, you can be sure the value of it is going to increase like crazy. The weapon itself is perfect for virtually any conditions. Whether you’re a law enforcement officer, a soldier in war or a hunter in the wilderness, the Remington 887 will be resilient in any situation. The most durable shotgun on the planet. Born of the gunmaking expertise that brought you the best-selling, most trusted shotgun of all time, the Model 870, the Model 887 Nitro Mag is an armor-clad warrior here to carry the torch of our great pump-gun legacy through the most extreme conditions on earth. Our Exclusive ArmorLokt™ process seal the receiver and barrel in a vault of weather-impervious synthetic armor that’s both completely rustproof and tough as nails. Similar to the Model 870, it’s receiver is crafted of solid steel and the barrel is hammer forged to last a lifetime. Twin steel action bars ensure smooth, positive chambering and ejection. And the sleek receiver design, awesome balance and natural pointing characteristics spell trouble for any bird within reach of its 12-gauge 3 1/2″ Super Magnum capability. The extremely rugged synthetic stock and fore-end are ergonomically contoured to offer a positive grip and comfortable handling. Swivel studs are built-in. For 2010, our new Model 887 Nitro Mag Tactical combines supreme toughness and dependability with a handy 18 1/2″ barrel, a 2-shot magazine extension and a barrel clamp with integral Picatinny rails for mounting your flashlight or other accessories. It also includes a ported, extended tactical Rem™ Choke and receiver mounted on Picatinny rail. If U can find a front sight or one that can work would U please let me know . I have tried several but so far nothing works. I bought one in 2014. It’s brand new, I have never fired it. Perhaps I will wait a few years and auction it off! I have one and have extensively shot it. I will buy yours from you as well….